So you’re looking for a way to decorate your house in a new and interesting way? 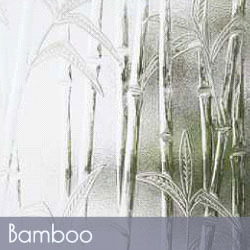 We recommend using patterned glass features as a way to spruce up your home. You can still keep your style while integrating a focal piece into your house that doesn’t detract from the décor you have already set up. Not sure how to add patterned glass? Check out this list of options. One of the easiest ways to integrate decorative glass into your home is to use cabinet glass. This is a relatively easy project to do with any existing cabinet featuring glass windows. We offer more than 88 different types of textured glass that you can add to your cabinet. Patterned glass will still protect items within your cabinet, while giving it a new elegant look. It can also create a textured look without having to add a whole new feature piece such as a countertop. If you don’t want to replace your cabinet glass, another easy way to add patterned glass into your home is to add a light fixture. Unlike replacing your cabinet glass, light fixtures offer the advantage of being easy to switch out if you change your mind later. It’s a quick and easy way to add a little something extra to your home. Adding a glass dividing wall is a great way to add interest while gaining privacy. Perhaps the most common space for this is in a bathroom. Some people choose a glass privacy to use this for privacy for either a shower door or to hide the toilet. It adds an interesting piece to your home while still providing a functional design element. Some people also like glass walls as a focal piece in a kitchen or dining room. Placing a decorative glass piece in your home will add to your home’s overall value and style, not to mention add charm and character to your home. Another way to add patterned glass to your home is to use it as a window. Patterned glass is commonly used in bathroom windows, though can also be used in windows over kitchen sinks or near doorways to add a stylish look and a bit of privacy. You will still get all of the natural light you need without having to deal with curtains or blinds. Natural lighting can bring out the best features of any home, helping to make patterned glass such a great option. We offer a wide range of different patterned glass styles, allowing you to pick the look you like best. Plus, with prices as low as $11 per square foot, glass may be more affordable than you may have thought. To learn more or to get an estimate on adding patterned glass to your home, call us today at 404-361-5151.